In my somewhat subjective estimation — backed up by several impartial car reviewers — the Model 3 offers greater quality than an ordinary entry-level luxury car like the BMW (OTCPK:BMWYY) 3 Series at a total cost of ownership not far from a utilitarian, mass market car like the Toyota Camry. This is an unprecedented level of price performance. Total cost of ownership includes the full costs of owning a vehicle, including energy costs (i.e. electricity or gasoline), service and maintenance, and insurance. It’s a better apples-to-apples comparison of the cost of an electric car vs. a gasoline car than sticker price due to the considerably lower costs of running an electric vehicle. The comparison to the Toyota Camry comes from Loup Ventures partner Gene Munster, known for betting on Apple (AAPL) as an analyst at Piper Jaffray. Another comparison by YouTubers Two Bit da Vinci produces similar results. They compare the Model 3 to the Honda (HMC) Civic. They find that the unsubsidized five-year total cost of ownership for the Model 3 is only $3,400 or 14% higher than for the Honda Civic, a much more utilitarian car. 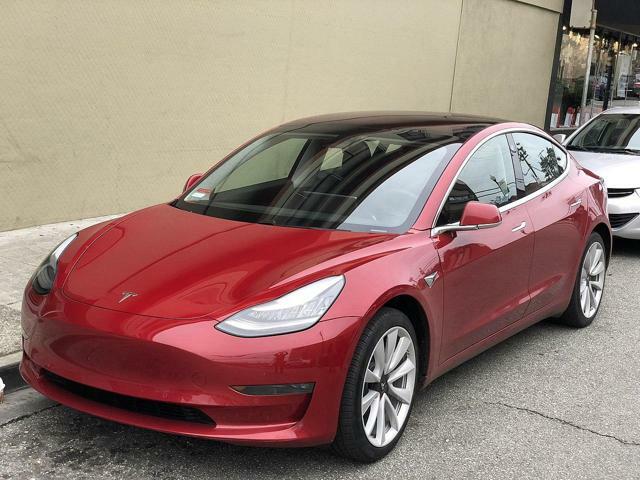 They also compare the Model 3 to the BMW 330i, a car with a similar level of luxury, at best equal driving performance, and inferior technology. They estimate the 330i’s total cost of ownership at $17,450 higher than the Model 3s. That’s 62% higher for a car that is about the same or worse. Two Bit da Vinci notes that beyond their fifth year, the maintenance cost for gasoline cars increases significantly with several parts requiring replacement. Not so for electric cars. 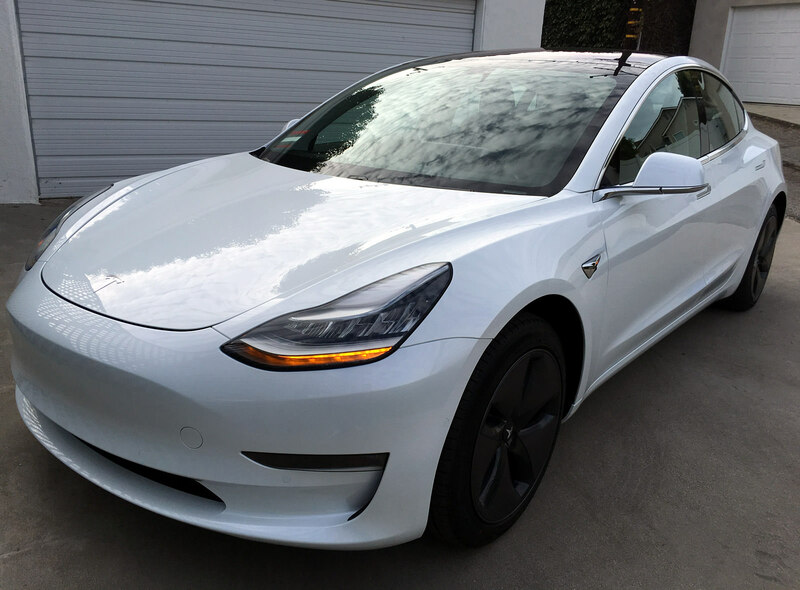 Over a seven-year or eight-year timeframe, the cost comparison is likely even more favorable to the Model 3. A newer gasoline car can survive for 200,000 miles before it needs to be scrapped. Data from the Tesla Model S shows that an electric car can drive 150,000 miles with minimal battery degradation. One taxi driver drove 250,000 miles in his Model S and lost only 7% of his original battery life. Based on this data, electric cars are expected to have much longer lifetimes than gasoline cars, perhaps as much as 500,000 miles. This makes the total cost of ownership comparison extremely favorable over a 15-year timeframe. After 15 years, a Model 3 may still be running smoothly while a gasoline car is long gone. The same goes for cases of high utilization such as taxis or ride-hailing services. Looking ahead to autonomous ride-hailing, self-driving electric cars will savagely outcompete self-driving gasoline cars. The Model 3 offers a BMW-like experience for a Toyota Camry-like cost. For this reason, I believe that demand for the Model 3 will be like nothing the automotive industry has seen in recent decades. Research has shown that consumers are responsive to the total cost of ownership of vehicles, not just sticker price. Venture capitalist Chamath Palihapitiya argues that BMW 3 Series sales will be decimated by the Model 3. Gene Munster speculates that Tesla could sell 2.75 million Model 3s per year by 2025. I don’t know if these predictions are correct, but they are certainly not unreasonable given the unprecedented level of price-performance the Model 3 offers. Many consumers will wonder why they would want to buy any other car. Some analysts are gravely underestimating the level of consumer enthusiasm specifically for this car, and not for lackluster electric compliance cars like GM’s (GM) Chevy Bolt or future me-too offerings. Tesla has advantages in software, design, and battery pack economies of scale that competitors show no signs of overcoming. Most recently, Tesla stores in San Francisco and LA were swarmed when the first Model 3s were put on display. Some waited over an hour in line just to see the car up-close for a few minutes. This did not occur for the Chevy Bolt, or any other car in memory for that matter. The best advertising for the Model 3 will be knowing someone who drives one, especially someone as enthusiastic as the 455,000 people who held a reservation as of August 2. I expect that demand will greatly increase over time as more people learn about the car. Another factor driving increased demand will be the development of Enhanced Autopilot and more advanced autonomy features. 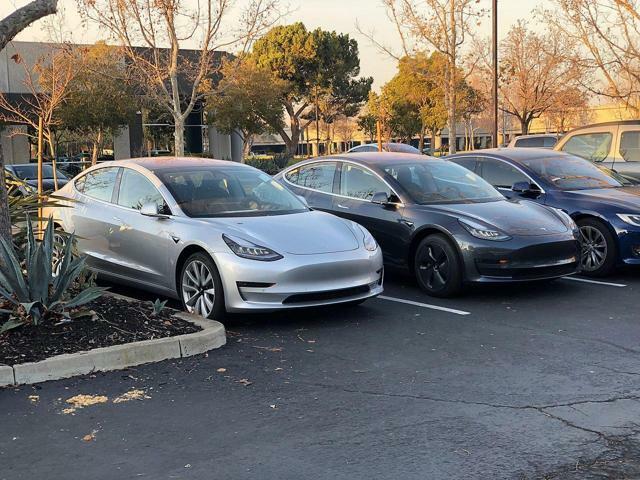 If Gene Munster is correct in his speculation that Tesla will sell 2.75 million Model 3s per year by 2025, the company will generate $105 billion in annual revenue from that one vehicle alone. Assuming an equal amount of revenue from the Model Y crossover, that would be $210 billion between the two vehicles, plus $9 billion for the Model S and X. At an auto industry average 0.52 price/sales ratio, $219 billion in revenue would yield a market cap of $114 billion, up 42% from September’s all-time high of $65.5 billion. At an S&P 500 historical average 1.47 price/sales ratio, Tesla’s market cap would be $322 billion. That’s an increase of over 490% from the all-time high. Remember, these calculations exclude revenue from all other vehicles and lines of business, including solar and energy storage. I think the 2025 timeframe is too long for two reasons. First, by 2025 there is a good chance that autonomous ride-hailing will affect overall vehicle demand in a way that Munster is not accounting for. Second, it doesn’t help us to think about what sales will be like in the Model 3s first few years on the market. What factors prevent sales from reaching 2.75 million per year in three years, rather than in seven? The bottom line is that although it is difficult to predict the future in much detail, I can say with high confidence that the Model 3 will break sales records as soon as the limiting factor is demand, not production. Once production ramps to meet demand, I would be surprised if it is not the best-selling sedan in the United States. An alternative way to model future revenue and market cap is through the autonomous ride-hailing business. Suppose Tesla produces just 5 million cars with self-driving hardware over the seven years from 2018 to 2025, an average production of 714,000 cars per year. Suppose that each self-driving vehicle replaces five conventional vehicles. Given 1-2 billion passenger vehicles on the road globally (estimates vary widely), that means there is a need for a 200 million to 400 million self-driving vehicles. 5 million cars would be only a 1.25% to 2.5% share of the eventual install base. I’m assuming that each self-driving car will replace the driving of five people, putting average annual paid miles per vehicle at 82,750. Using ARK Invest’s estimated price of 35 cents per mile, that’s about $29,000 in revenue per vehicle per year. Assuming the same net margin on this revenue as the taxi and limousine industry’s 31%, that’s about $9,000 in net profit per car per year. Across 5 million cars, that comes to about $45 billion in annual net profit. The historical price/earnings ratio of the S&P 500 is 15.7. At this ratio, $45 billion in earnings would yield a market cap of $706 billion. That’s over 10x growth from Tesla’s all-time high. The main obstacle to the Model 3 achieving a high sales volume is achieving a high production volume. Product risk is low and execution risk is moderate or high. In my view, Tesla is unlikely to run out of cash due to its large cash balance ($3.5 billion as of the end of Q3), improving cash flow from Model 3 production, and its proven historical ability to raise funds in a second offering when needed. Motor Trend calls the Model 3 “the most important vehicle of the century.” Many observers fail to see what is new about the Model 3. It’s not just another electric car like the Chevy Bolt. It’s not just another entry-level luxury car like the BMW 330i. It’s a breakthrough in price-performance that will generate unprecedented consumer interest, and that breakthrough will be hard for competitors to replicate.